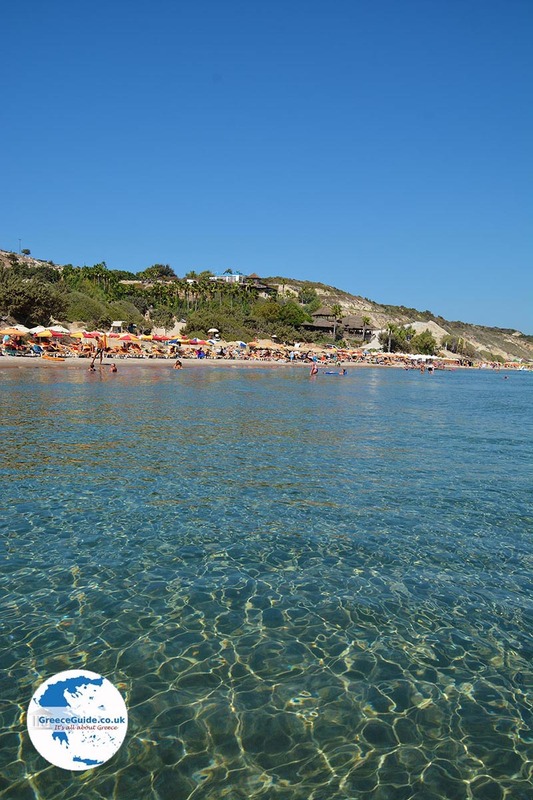 Paradise Beach Kos. 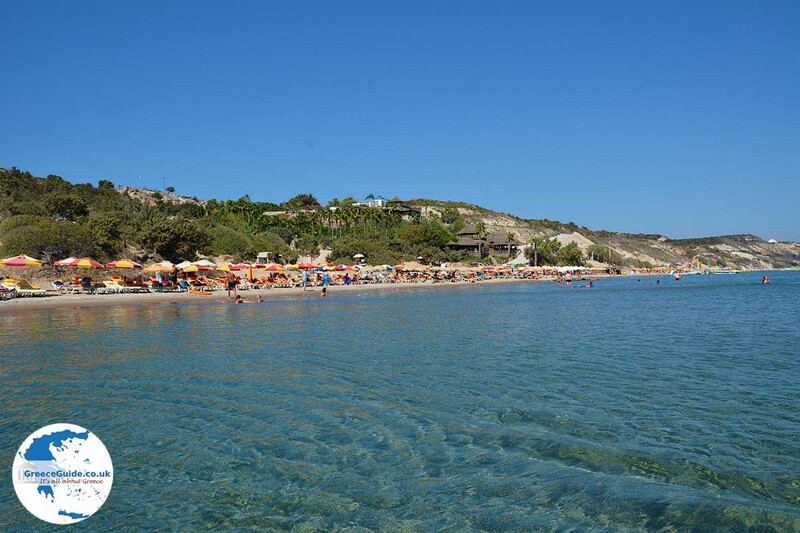 Paradise Beach is one of the most stunning sandy beaches of the Greek island of Kos. 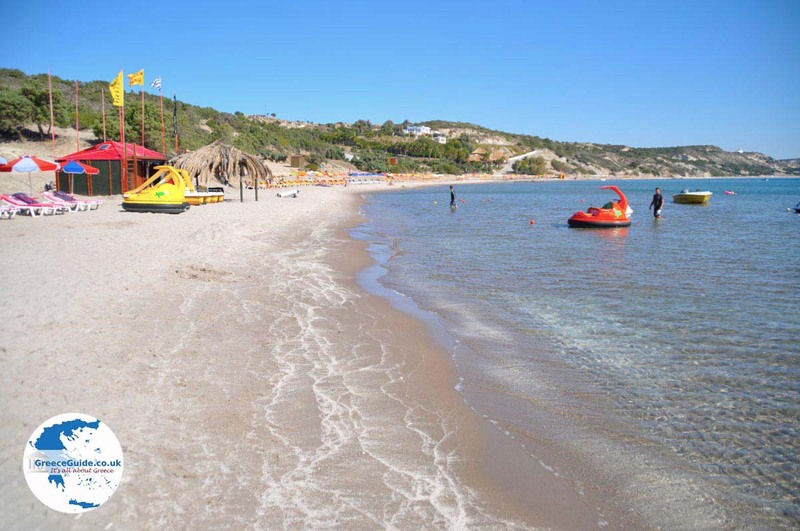 It is located on the route from the airport of Kos to Kefalos. 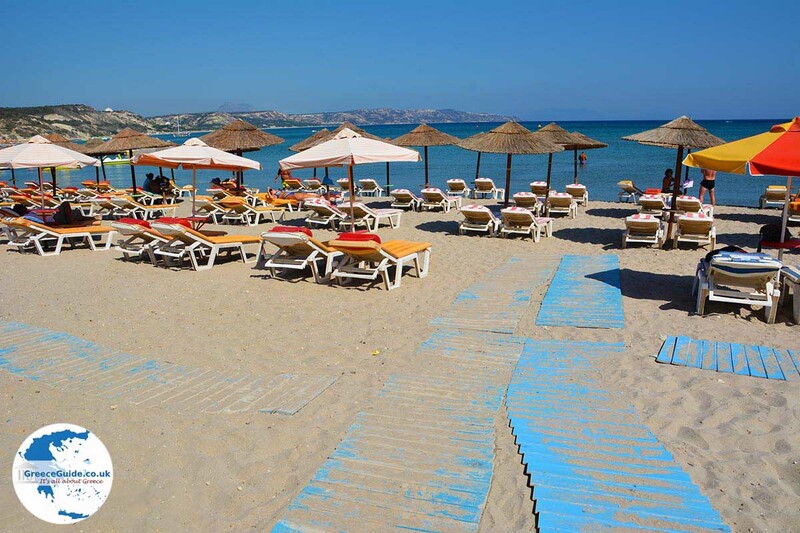 This beach is the most popular beach of Kos. 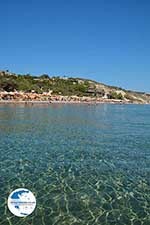 It lies in a magnificent bay with lots of trees, which sometimes grow near the water. 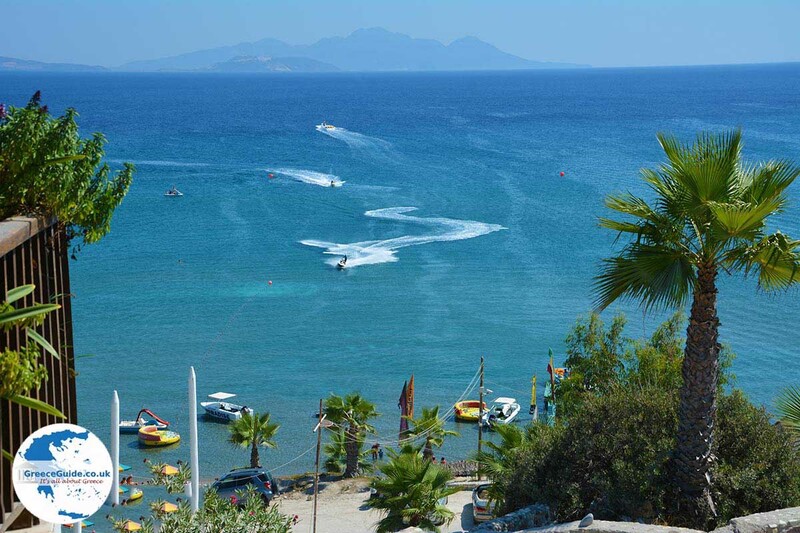 The seawater is crystal clear and water sport lovers are thrilled because almost every water sport is available. 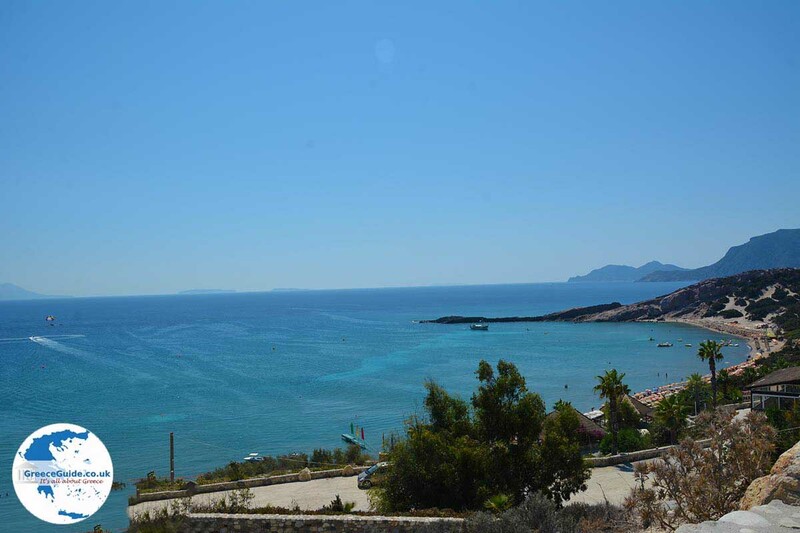 On the slope of a nearby hill is a large restaurant with fantastic views to the sea. Closer to the beach are snack tents. 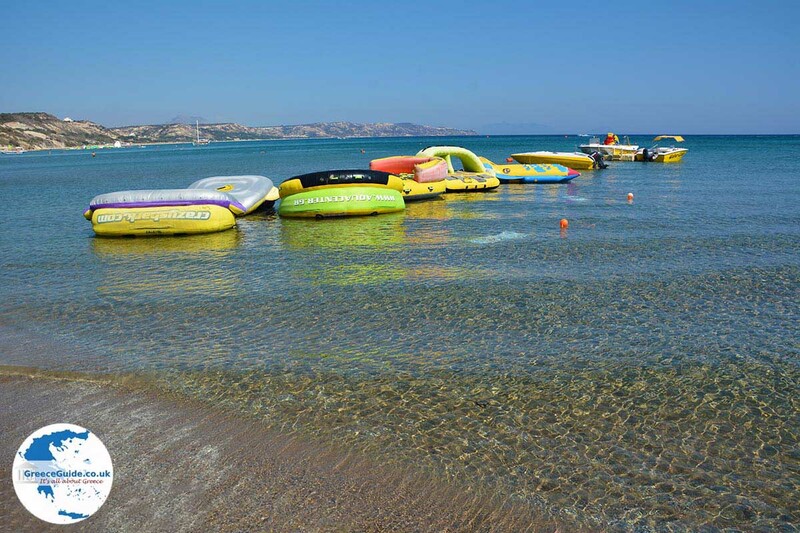 Parking is allowed on the beach itself. Paradise Beach is not the only nice beach in this area. 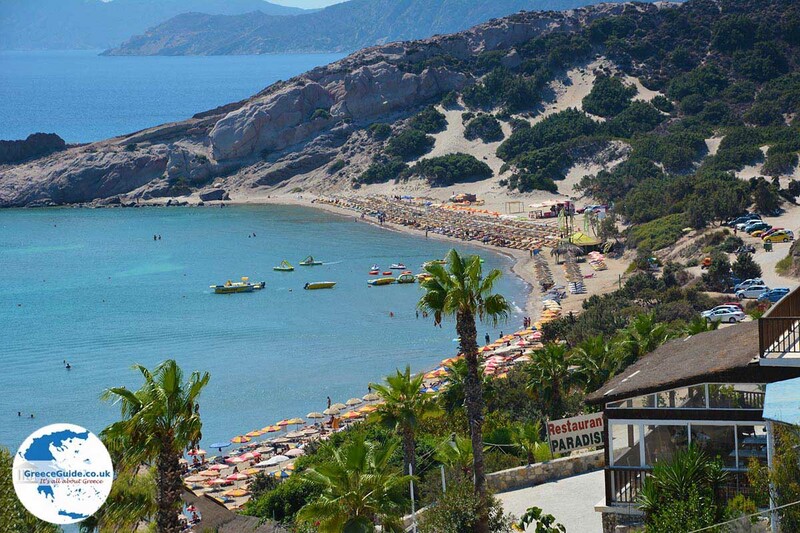 Others include Sun Beach, Lagades, Golden Beach (Chrissi Akti), Polemi and Camel Beach (Akti Kamila). 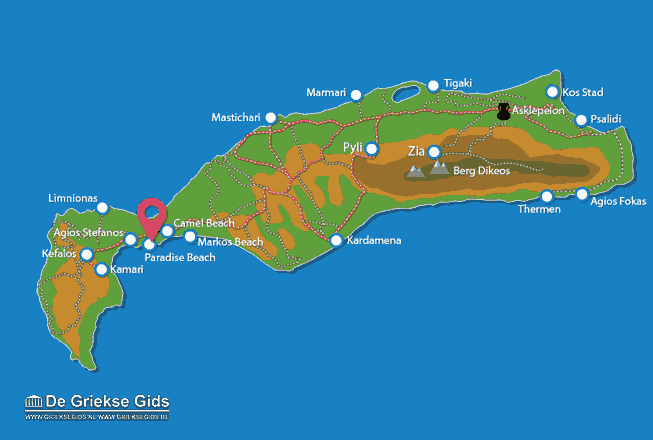 Kos: Where on the map is Paradise beach located?